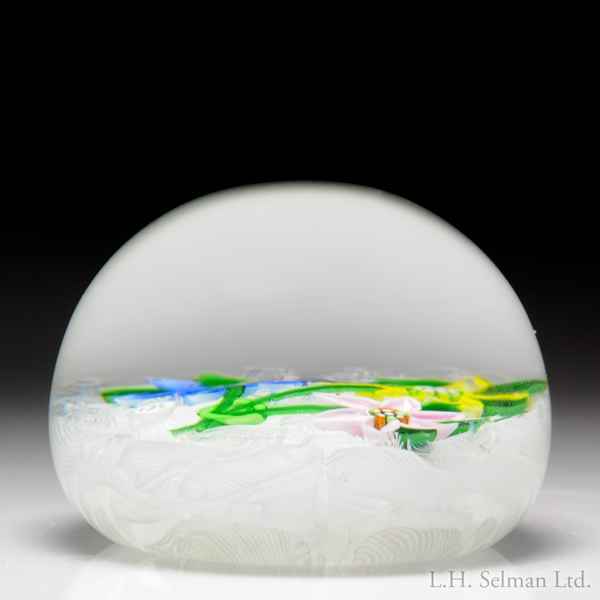 "J" Glass 1979 three-flower bouquet paperweight. Three clematis flowers in blue, yellow and pink grow from long stems, which are drawn together and tied with a light green ribbon, over white upset muslin. Signature/date cane. Diameter 2 3/8".